Only different trinkets without duplicates in set, picked randomly. 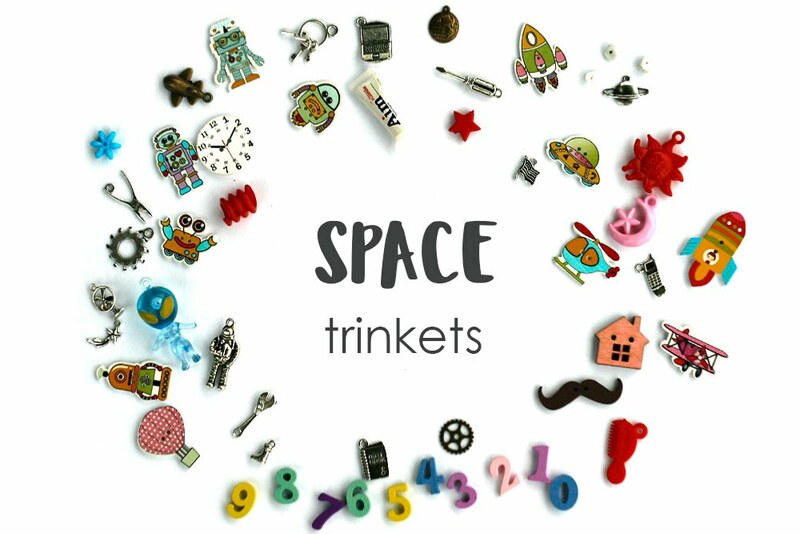 The pictured trinkets are only an example of what you might get, not all of them might be included, the content is changing constantly. 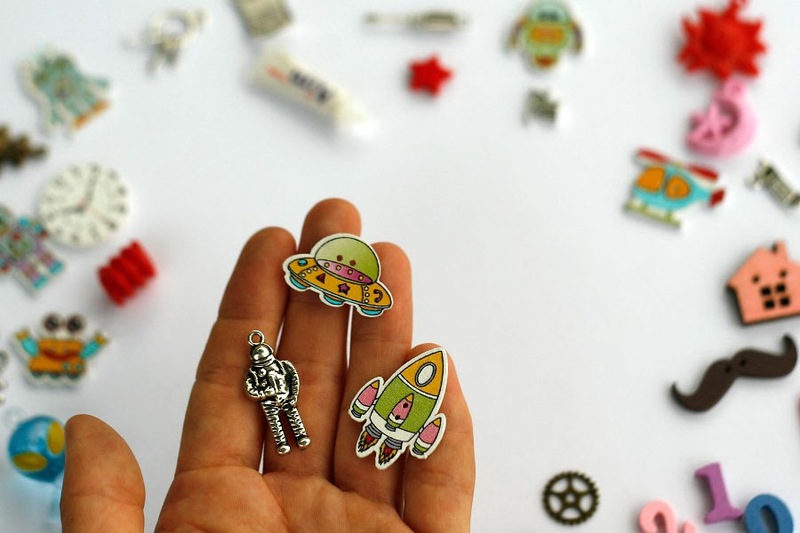 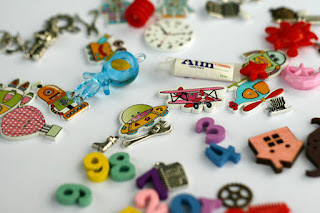 The trinkets are mix of charms, beads, buttons, cabochons and miniatures made of metal, plastic and wood.